On the last day of the artistic gymnastics of the XXIII Central American and Caribbean Games, Cuba, Colombia, the Dominican Republic and Puerto Rico, the six golds that were missing for sharing this sport in Barranquilla were hung. With two golden medals, the Cuban delegation was the big winner of the last day thanks to the triumphs of Marcia Videaux on the ground and Manrique Larduet in parallel bars. Videaux, who had already won the team event and the individual contest, in addition to having obtained silvers in jump and asymmetric bars, was imposed on the ground with a score of 13,525 points to the Puerto Rican Karelys Diaz, silver with 12,650 units. The bronze of that test was for the Puerto Rican Andrea Maldonado, who made 12,375 points. Larduet also hung his third gold in the games in the parallel bars, which adds to those obtained in the individual contest and in the rings, with a remarkable presentation that earned him a score of 14,925 units. In the second place of the podium appeared the Colombian Jossimar Calvo, who approached the triumph with his 14,825 points, and the third was his compatriot Javier Sandoval with 14,200 integers. 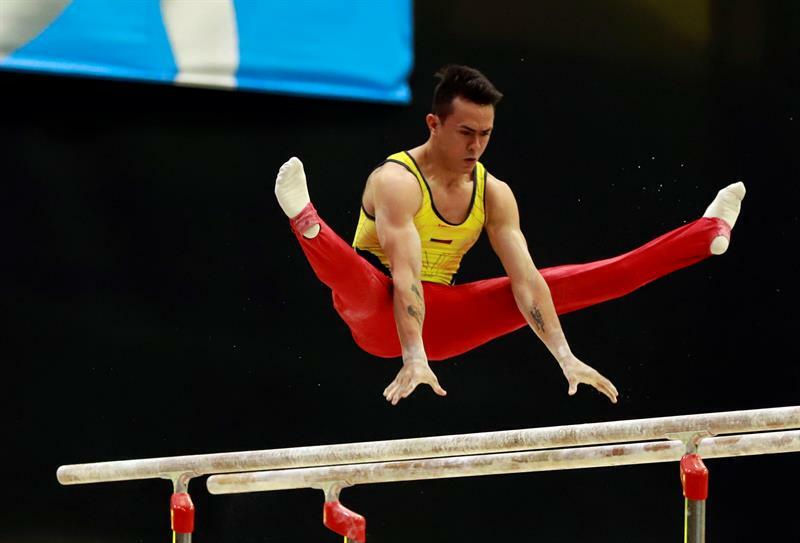 Despite losing in the parallel bars, Calvo also achieved a gold medal in the asymmetric, his third in Barranquilla, after beating the Cuban Randy Lerú and Larduet. “In the execution of the routine, the cleanliness with which each competitor did his work, give the best, that the routine was as clean as possible since then the final of parallel and fixed bar, the starting notes of the first podium they were similar, so what made the difference was the execution of the routine, “Calvo told reporters. The Colombian Calvo received a rating of 14,300, while Lerú received 14,150 and Larduet 14,125. On the other hand the Puerto Rican Bianca Leon triumphed in the beam test with a score of 12,625, which allowed her to defeat the Mexican Jimena Moreno, who climbed to second place on the podium. León, who gave the Caribbean island its first gold medal in artistic gymnastics, performed a remarkable routine that allowed it to exceed the rating of 12,500 received by the North American and 12,200 of the Colombian Dayana Ardila, who finished in third place . In the men’s jump, Audrys Nin got the second gold of the Dominican Republic in gymnastics and Larduet was left with the silver, while the Guatemalan Jorge Vega hung a bronze, the only medal of his country in the day. In total 14 golds were distributed in artistic gymnastics, of which six were for Cuba, three for Colombia and two for the Dominican Republic, plus one for Mexico, another for Guatemala and the remainder for Puerto Rico.